Deborah Simmons is trained as a social scientist specialising in social and environmental issues relating to Indigenous peoples. She was raised in the Northwest Territories and completed her doctorate in the field of Native Studies at York University. 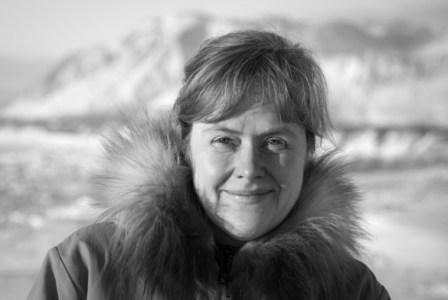 Deborah has been involved in interdisciplinary research combining traditional knowledge and science in the Sahtú Region since 1999, including work for the Sahtú Land Use Planning Board and Délı̨nę Uranium Team (Dene Náowérǝ́ Chets’elǝ) and Délı̨nę Knowledge Project. She maintains a research affiliation with the Centre for Indigenous Studies at University of Toronto, and welcomes opportunities to mentor graduate students interested in pursuing Sahtú-based research to support preservation of both wildlife and Dene and Métis ways of life. In implementing vision, goals and objectives of the Ɂehdzo Got’ı̨nę Gots’ę́ Nákedı, she remains actively involved in community-collaborative research and conservation planning. She helped to found the Nę K’ǝ Dene Ts’ı̨lı̨ (Living on the Land) Forum, She is a member of the NWT Species At Risk Committee and Canadian Mountain Network, and helps to represent the Board on the NWT Conference of Management Authorities (CMA) on Species At Risk and the Advisory Committee for Cooperation on Wildlife Management (ACCWM). She has served as Executive Director of the Board since 2012.